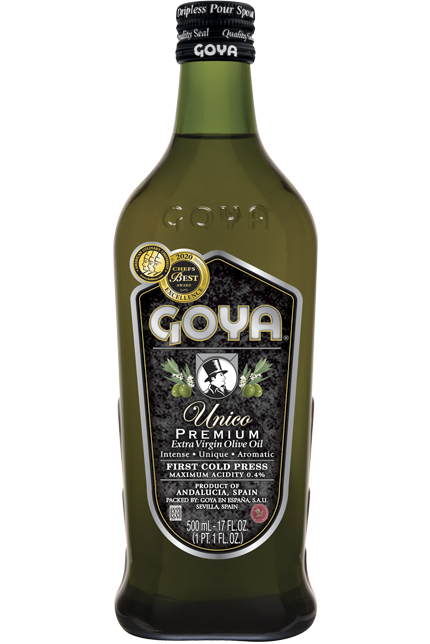 Just like the GOYA® Olive Oil, GOYA® Light Flavor Olive Oil is made with refined olive oil of excellent quality and our Extra Virgin Olive Oil in the proportion needed to maintain a mild flavor. 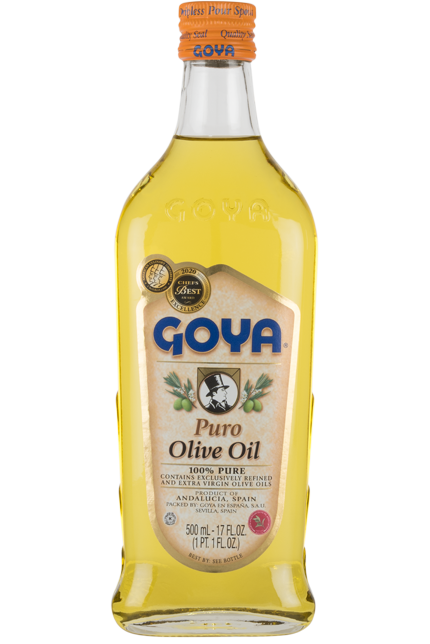 Along with its use in frying, GOYA® Light Flavor Olive Oil is recommended for dishes where only the flavor of other ingredients and condiments should stand out exclusively, for example, in traditional local recipes and baking. 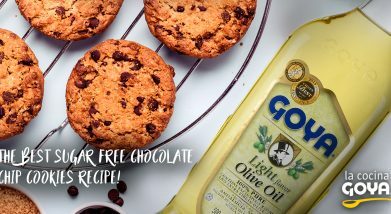 “Light” does in no way refer to the amount of calories or mono-saturated fats in the oil, since they are the same as those of extra virgin olive oil. 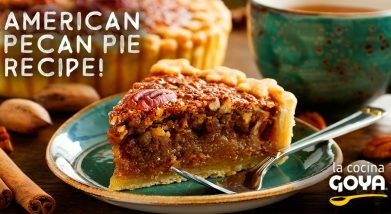 Furthermore, it allows for frying at higher temperatures than other vegetable oils do. 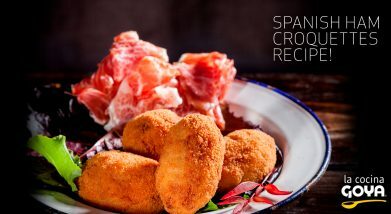 We recommend frying at 356ºF (180ºC). 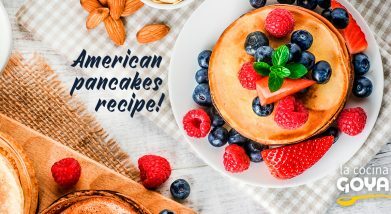 The higher the temperature of the oil is, the less fats penetrate the food, since a seal is immediately formed around it which diminishes the penetration of the oil and maintains the vitamins inside the food. 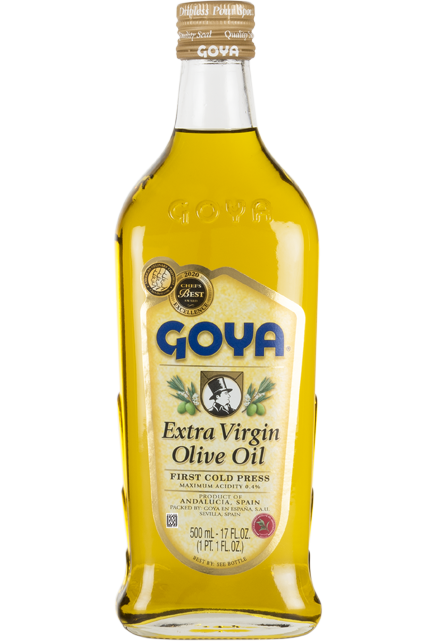 GOYA® Light Flavor Olive Oil can substitute other vegetable oils in any recipe from the world’s cuisine, due to its great smoothness and neutral flavor which respects the original aroma of all other ingredients. 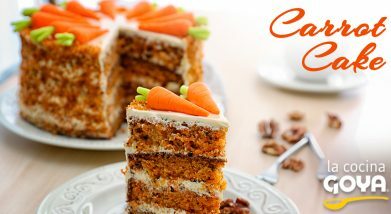 Its healthy properties stand out when compared to other vegetable and seed oils, with a higher oleic acid content and resistance to higher temperatures. 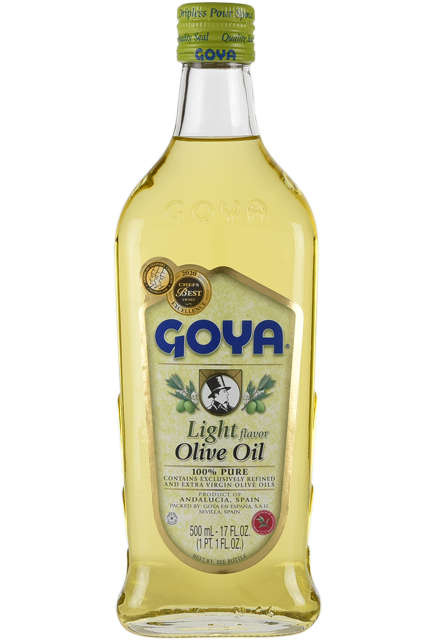 Therefore, Light Flavor Olive Oil is suited for frying, baking and sautéing. Preserved in nitrogen until it reaches your table, our Light Flavor Olive Oil maintains all of its properties until its best-before date. 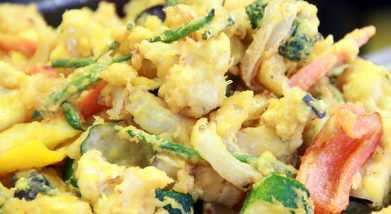 Vegetable Tempura Recipe!Elaboration:Eggplant, zucchini, and red and green pepper cut into slices or strips are the main vegetables we will use to make this dish. 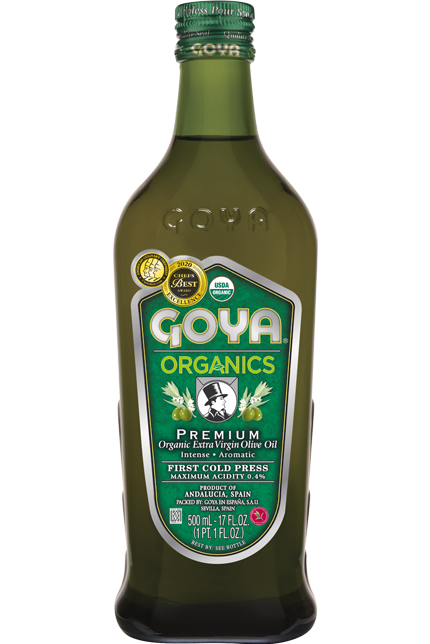 Once the vegetables have been dipped in a batter made with flour, water and egg, fry them in abundant GOYA® Light Flavor Olive Oil. Fry for approximately 3 minutes. 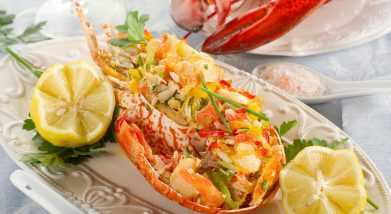 Baked lobster with olive oil and lemon Recipe!Elaboration:Place halved lobsters on an oven tray with GOYA® Light Flavor Olive Oil drizzled on top and cover with parchment paper to prevent them from drying out. 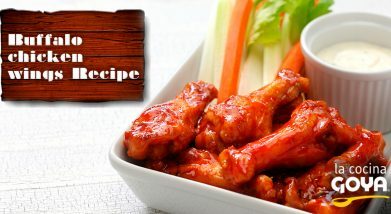 Cook for 15 minutes and towards the end, cook the side vegetables (peppers and onions).